God never made a Canola plant, so where does Canola Oil really come from? Canola comes from the Rapeseed plant, a member of the mustard family, it was genetically engineered and developed in Canada. It should really be named “Rapeseed Oil”. But who would buy that? Doesn’t sound very appealing. So it was given the name “Canola Oil” which stands for “Canadian oil, low acid” or “Canadian Oil”. 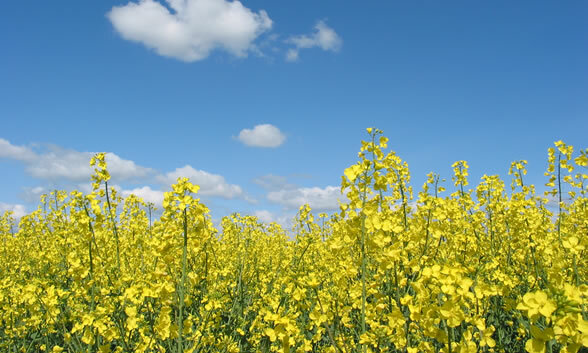 Let’s get down to some facts about Canola Oil / Rapeseed. Rapeseed oil was originally used in light industry as a penetrating oil, not for human consumption. The FDA had actually banned it for human consumption in 1956. Later Canadian growers using genetic manipulation involving seed splitting (R.K. Downey, Genetic Control of Fatty Acid Biosnythesis in Rapeseed. Journal of the American Oil Chemists Society, 1964;41:475-478. ), came up with new type of rapeseed in the 1970’s that was lower in the toxic erucic acid. 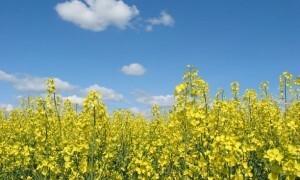 A new name was developed for the oil to try and get away from the bad issues tied to rapeseed oil, canola oil. Rapeseed, the most toxic of all food plants suddenly through genetic manipulation was made safe? The poisonous weed has been shown to cause emphysema, respiratory distress, anemia, constipation, irritability, and blindness in both animals and humans, is suddenly safe? One has to ask if God created a plant to be poisonous is it correct to think that man can change this just through some ability of his own? Many of these highly processed cooking oils such as canola oil, cotton seed oil, and vegetable oil, are processed with many steps involving chemical solvents, de-waxers, neutralizers, steamers, bleachers and deodorizers before they make it to the store shelves. Here is a great video to see all that happens during the process. Pay attention to how many times they tell you by-products of the canola oil process are sold as animal feed. Beef cows don’t eat much grass anymore. This could be a good reason to look at grass-fed, grass-finished beef. Do notice how the video pushes the health benefits of the omega 3s in canola oil. We will talk more later about what happens to these great omega 3s in the processing of canola oil. Did you catch that part in the video where they talk about solvents being used to extract the other 40ish percent of canola oil from the canola cake that is left over after the high-pressure screw press. Notice, they don’t tell you the most often used solvent is hexane a byproduct of gasoline production. Hexane is a neurotoxin and it has been found that hexane residue will remain in the oil. 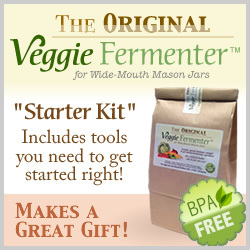 Another fact is the FDA does not require the food manufactures to test for residues. What harm this neuotoxin does when ingesting it is not known since most testing is done on the inhalation of hexane in industrial environments. You can guess, it must not be good. Canola oil is said to have healthy properties because of its high concentration of omega 3s. ONLY problem is the heat and pressure of manufacturing causes the omega 3s to go rancid. Now the oil has to be deodorized, “I mean it smells, really, really, really bad!” The deodorizing process causes these rancid omega 3s to transform into trans-fats. Yes, the bad for you trans-fats we are warned cause heart disease. Many processed foods contain hydrogenated canola oil since it hardens up very well creating a structure for over blended highly processed foods. Not to mention it extends the shelf life of the product. This process actually raises the amount of trans-fats in processed foods to as high as 40% (J.L. Sebedio and W.W. Christie, eds, Trans Fatty Acids in Human Nutrition, The Oily Press, Dundee, Scotland, 1998, pp. 49-50), and it doesn’t have to be listed on the label, since trans-fats were not added to the foods, they were created in the production of the foods! Presto… trans-fat free labeled foods that are very high in trans-fats. Just take a look at that label on the peanut butter that choosie Moms choose. You will find hydrogenated canola oil, by removing the peanut oil, which is sold in other products, and replacing it with hydrogenated canola oil it makes a thick peanut butter grease that sticks to the roof of your mouth and is very hard for the body to digest. I looked at bottles of canola oil in the grocery store and did not find any “CAUTION or Enviromental Hazards” warnings on the labels. All I saw was that they contained 100% canola oil, which would be the active ingredient. How can an item be hazardous for humans and animals at 96% purity, but appears safe for humans and animals at 100% purity? Some people have sent me comments suggesting that it is the 4% other ingredient that is the toxic part. But, the EPA would require that this 4% be labeled as active, and it is not. VIDEO – Are you eating pesticides? Canola oil a great insect killer. Avoid Canola Oil at all costs. Though the FDA has placed Canola Oil on the GRAS list (Generally Regarded As Safe), you can see from the facts that this is one oil you want to avoid at all costs. Do you want to feed your family a genetically engineered toxic oil? My personal answer is a resounding NO! The sad thing is, Canola Oil is so cheap, that it is used in most processed foods. You will find it in everything from breads, margarine, potato chips, to fast food, etc. The list goes on and on. This is one of the many reasons it is SO important to READ READ READ the labels carefully before you buy any food. And we already know there are a number of reasons to stay away from fast food. The bottom line is Canola, which comes from rapeseed, is a modified food, it is not natural. Canola Oil is NOT a “God Food”. What IS the healthiest oil for cooking? The best, healthiest oil out there is Virgin Coconut Oil. The Medium-Chain-Fatty-Acids (MCFAs) are beneficial to your body/health in many ways. It is great to cook with, can take heat up to med-high, and can be added to smoothies for an energy boost. I could go on and on about this, but you will want to pick up the book Eat Fat, Lose Fat by Dr. Mary Enig and Sally Fallon. This book discusses the many benefits of coconut oil in greater depth, along with some recipes. *Originally published June 1, 2012, updated June 18, 2015. I use Costco Cooking oil for my diesel van and car, it runs so much better and smother. In winter I do a 50/50 mix with regular diesel. Whole Foods health food store uses canola oil in many of their dishes they serve in their food bar. I’ve always wanted to call them on it so I printed this article and am bringing it to the store manager. I hope to eventually speak with him or her and ask them to stop using this toxic oil in their food. And they call themselves a health food store?! We’ll see how they respond. I like going to Costco to eat the samples. Unfortunately if I fail to read the label just once I end up being poisoned by canola oil. I then suffer for at least the next 24 hours with a sinus attack. I wish Costco would stop carrying anything that contains canola oil. Am I the only one with this problem? Thanks for helping to get the word out. Logic flaws in your argument. I use canola oil for getting rid of spider mites.. Based on your 96% logic, if the other 4% happened to be a ‘real’ poison. Then 100% canola would very much NOT be a poison. What was the other 4% on the label? Science changes on these oils all the time. At one time palm and cocunut oils were touted to be _REALLY_ bad and canola etc. better, now all of a sudden things have reversed, same with butter. Ed, I am lost by your comment. You state that you use canola oil to get rid of spider mites. I take it you are using 100% canola oil to kill them. Later you state 100% canola oil must not be a poison, but yet you just said you used it to kill spider mites. No, the true science does not change. Palm oil, butter and coconut oil are healthy, just the politics change which produces reports that state what the going trend is at the time. Glad you wrote the comment, it was about time I brought the article up to date with expanded information. Thanks for bringing that to my attention. I did not know this about canola oil. I bought a big jug of the stuff from Costco when our budget was tight this past summer, and I immediately noticed that it gave me abdominal cramps after consumption. The smell, too, was very disconcerting; it smelled very “chemical,” not all appetizing. I have since ceased its use based solely on its affects on me, so now that I know that, uh, its original primary and current secondary use is as a pesticide (!!! ), I’ll be relegating that jug to the garden–that is, AFTER I do some follow up research to make sure it’s at least safe to use on crops. Great to hear you do research items before putting them into action in your life. So I could go buy a bottle of this stuff, mix in a couple of tablespoons of cheap alcohol, maybe a teaspoon of dish washing soap and a few ounces of water .. and viola, cheap pesticide! I think if I choose the right bottle the sprayer from an old Windex bottle would fit right on it. Who knows it might just work. Just hopped onto your site from nourishing home and we are slowly making some changes to our family diet…your site it great! That said, I’m curious about non-gmo canola oil? I use some that I bought through Azure Standard and it isn’t organic, but it is non-gmo. Is this still as bad? My husband tested as moderately sensitive to coconut and I tested as mildly sensitive to it. We were told to avoid coconut for at least 3 months. 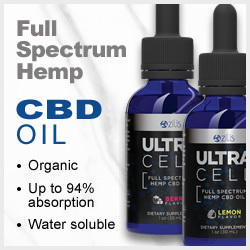 What other MCFA oils are there? Thanks!! LHelen, Good old butter is 12-15% MCA, try to get organic or raw if you can find it. Palm kernel oil is another source. Palm-kernel oil may NOT be a good choice for a person allergic to coconut. What kind of palm – date or coconut or ? My husband is also allergic to coconut and probably palm oil – so I use olive oil, sunflower (organic), butter . . . or chicken fat, for cooking meat. Been a while since we’ve had bacon; I love potatoes fried in bacon fat, but the questions about nitrates vs. nitrate substitutes have me a little concerned, so we do limit bacon! Nitrates and nitrites are additives I would avoid. As they are not healthy, do a search on Google and read. Not good stuff. Sandy – I also limit my nitrate intake as much as possible & I have seen in Kroger the non-cured bacon. I haven’t bought bacon in a while, so I don’t know if Kroger still sells it or not. It tastes just like regular bacon. Ack! I wondered what a Canola was and had been buying Safflower oil then Grapeseed because I had no idea what a “canola” was. The eClasses helped provide more info. Thank you. 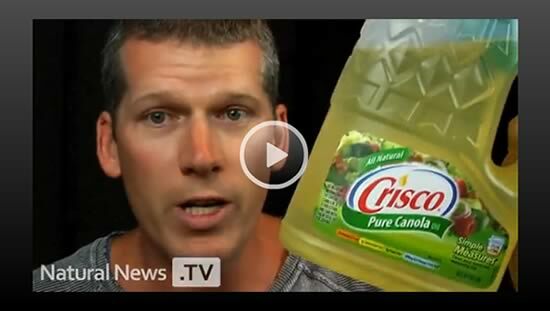 Wow, I never knew this about canola oil, and here I thought it was healthy. Looks like I need to go shopping for new oil. Thank You.